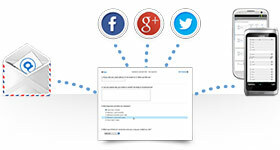 Develop And Distribute Effective Surveys For Facebook Using QuestionPro. Join Today For Free! 3. Start with a completely blank survey. Since QuestionPro is fully optimized for mobile devices, you can easily create and distribute surveys right from your tablet or smartphones. 1. Survey Template: With QuestionPro, you have access to a template library that has over 100 surveys, available for brainstorming or editing and personalization. 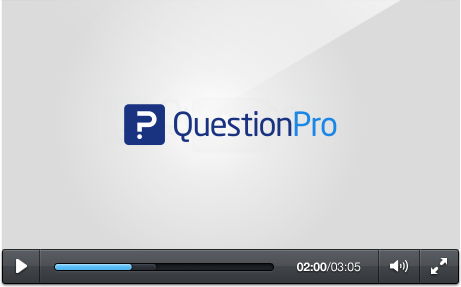 You can view the QuestionPro template library and choose surveys for Facebook here. 2. Uploading: If there's a survey that you already have and would like to use, you can easily import it straight into the editor using Microsoft Word. 3. Blank Survey Template: With a multitude of basic and advanced question types in addition to a wide variety of customization features, you can construct your ideal survey from the ground up. A customer satisfaction survey are designed for business owners or managers who wish to know about various aspects of their business from a customer's angle. Topics such as store evaluation, product use and service satisfaction are all commonly found. If your company is planning on creating new products or services, issuing surveys to potential future customers can give you a great idea as to how the market will react when it's released. As someone who works in HR, you can use surveys to measure how experienced a certain individual is. In addition, for existing employees, you can use surveys to understand if they are qualified for a promotion. For teachers or administration, surveys can be a great way to determine how a certain class or curriculum is performing. With student performance tied in with their opinions and perceptions, you can gain a good idea if any changes are necessary. Step 3: Choose the method of survey creation you need to use. With QuestionPro, you have three options to begin, which includes selecting a survey template, importing questions you already have or simply starting from a blank template. What is the template library like? Are there over 100 different survey templates that you can choose from? What if you have a whole survey that you'd like to use? Can you easily import it? If you're just looking to start from a blank template, can you pick from over 30 different question types, ranging from basic to advanced? How about if you need to implement advanced logic, or use scoring and branching? Are you offered those features? What if you need to personalize the look and feel of your survey? 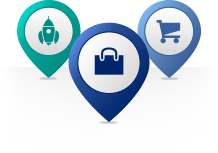 QuestionPro gives you access to all of these features and many more! In what ways are you able to distribute your survey? First and foremost, can you post to your social media networks like Facebook, Twitter or LinkedIn from within the interface? What if you just need your survey posted to your website or blog? Is there HTML provided for you to easily do that? If you have a list of email addresses, can you easily import them into the interface and create and manage custom lists? How about if you plan to work offline? Is there an app you can download to do that? With QuestionPro, you have all of these options and more! With responses coming in, what sort of reporting and analysis tools do you have available? Do you have advanced data visualization tools available to create infographics and word clouds with your data? How about creating data filters and pivot tables if you have a large amount of information? Can you perform trend or TURF analysis from within the interface? How about if you need more in-depth analysis? Are you able to download your data and bring it into Excel or SPSS? Or can you sync your account with Google Docs or Dropbox to back your data up? All of these features come with QuestionPro and lots more! You can begin creating surveys by choosing one of three options. You can look through the QuestionPro survey template library and choose a questionnaire that you can edit and use as your own. If you happen to have a survey already, you can upload it straight into the editor using Microsoft Word. If you'd prefer to build your survey from the ground up, you can start from a completely blank template. With any survey you create, you can customize the theme, as well as add logic, branching and scoring. You can choose from a few different ways to distribute a completed survey. Start by posting it to your social media networks such as Twitter or Facebook. 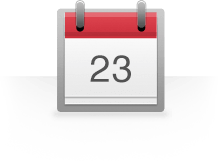 Easily upload whole lists of email addresses straight into QuestionPro. 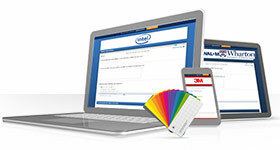 Embed your survey into your website or blog with provided HTML. Download the QuestionPro app if you plan on administering surveys offline. 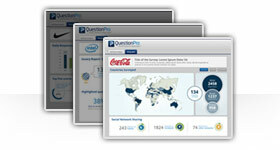 In addition, if you don't have any respondents, you can purchase a sample of participants directly from QuestionPro. In QuestionPro, you can see your results in real-time, such as how many people viewed your survey and how many actually completed it. Create beautiful, custom infographics and word clouds with the provided in-house data visualization tools. Filter your data and create cross tabs with large amounts of responses. 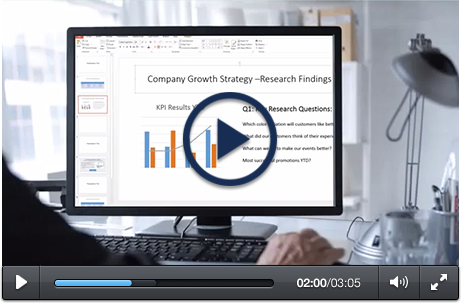 Export your raw results to a data file to bring into Excel or SPSS for advanced analysis. Sync your account to Dropbox or Google Docs to easily back up your data.